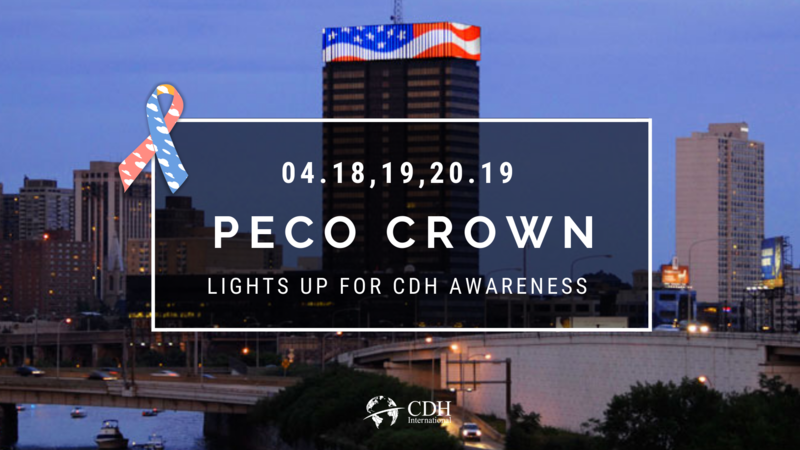 On April 18th, 19th and 20th, PECO Crown in Philadelphia, PA, will light up blue, pink and yellow in support of Congenital Diaphragmatic Hernia Awareness. PECO is known for providing safe electric and natural gas to PA residents. They are also committed to helping the environment. To learn more about PECO visit, www.peco.com. 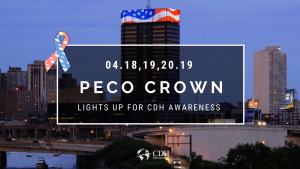 Special thanks to PECO for taking action against Congenital Diaphragmatic Hernia.